memory cards. Supports all kinds of Memory cards. - Floppy Disk, Zip Disk and more. * Photos deleted accidentally or intentionally from memory cards. * Photo loss due to formatting or "Delete All" operation. 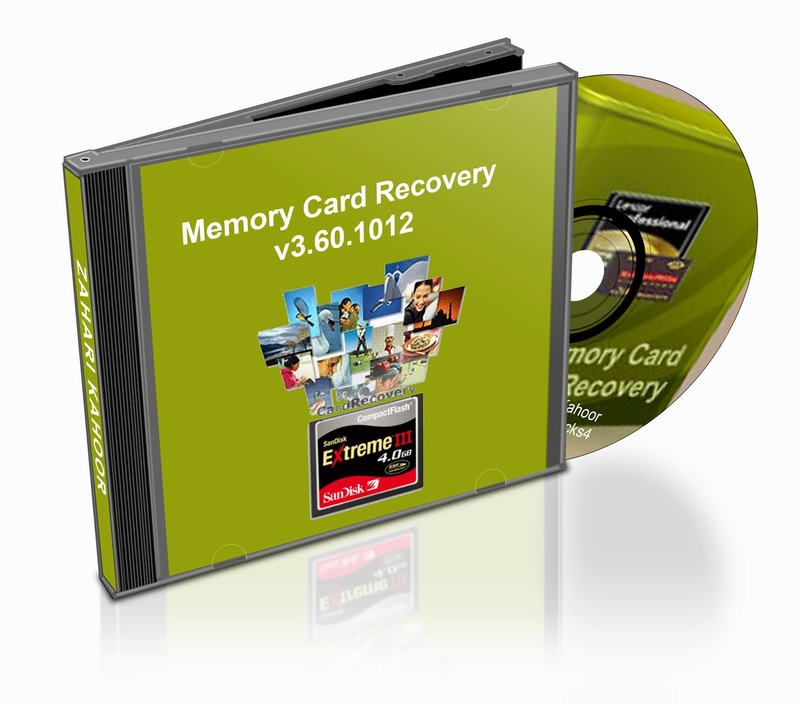 * Memory card error or damage, or inaccessible memory card. * Corruption due to the card being pulled out while your camera is on. * Damage due to turning your camera off during a write/read process. * Data corruption due to critical areas damage e.g. FAT, ROOT, BOOT area damage. * Data loss due to using between different cameras/computers/devices. * Other events that could cause damage to data. * Polaroid, Sigma and almost all digital camera brands in the market. * and almost all digital camera memory card brands in the market. 2. Use Serial Key to Register. 3. Open Help file to Use App Properly.